LATISSE™ is the first and only science-based treatment approved by the FDA for lengthening, thickening and darkening eyelashes. It was a glaucoma drug which was noted to grow eyelashes. LATISSE™ — and so will others. 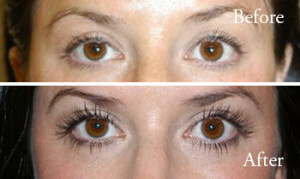 Here is one of Doctor Olson’s patients who has used LATISSE for 4 months. Look at her longer darker lashes. 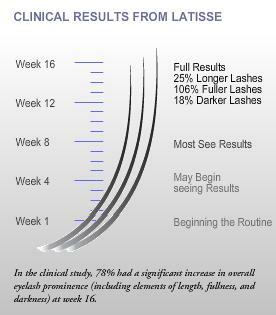 LATISSE™ is a prescription medication which should only be provided by a qualified physician. After evaluation from Dr. Olson, she will safely and effectively prescribe Latisse for maximum results. Doctor Olson, an Ophthalmic Facial Plastic Surgeon and Board Certified Ophthalmologist, has extensive experience and knowledge in the care of the eyes. LATISSE™ (bimatoprost ophthalmic solution) 0.03% enhances eyelash prominence as measured by increases in length, thickness and darkness of lashes.